Alexandra den Heijer is Professor of Public Real Estate. The Chair of Public Real Estate focuses on the challenges of managing public real estate portfolios by building theory on improving decision-making processes and finding new concepts for the built environment. University campuses, hospitals, schools, and city halls are just some examples of built environments that support public goals and have a large impact on society. Managing these buildings – often heritage on iconic locations – is never the primary task of the institutions that use them. However, they need to set an example to society and have a responsibility to implement public policies, resulting in meaningful, functional, affordable, and sustainable built environments. Public Real Estate supports owners of the built environment in achieving these public goals. The research field connects both theories and practical references from other scientific disciplines in the built environment ranging from design, technological innovation and transformation of heritage buildings to interior architecture and urban development. "My mission is to support universities' and other organisations’ decisions about (managing) their public real estate portfolios, resulting in (more) inspiring, meaningful, functional, affordable, resource-efficient and sustainable built environments." Alexandra den Heijer is internationally renowned as an expert on campuses for higher education, having studied the future of (managing) the university campus for many years, working with universities all over the world. Her legacy and knowledge about university campuses are the foundation by which the expansion of the research field will be grounded, applying her knowledge to other owners of the built environment. She has made it her challenge to serve as a connector and interpreter in management and design processes. Alexandra has always combined her career in academia with projects in practice. 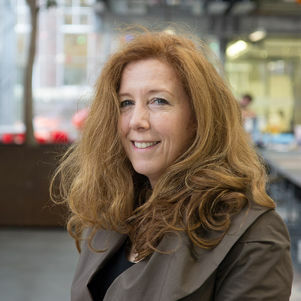 Since the publication and widespread use of her dissertation “Managing the university campus” (2011) she has been leading TU Delft’s Campus Research Team. 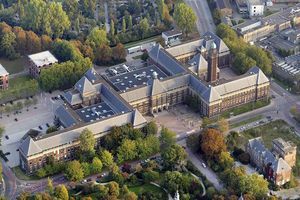 This is a network of PhD students, postdoc researchers and other university staff members – consisting of a core team at TU Delft and guest researchers and professors.